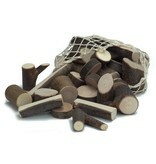 Branch Wood Blocks in Net Bag include 34 pieces. Block set of approximately 1.5kg of wood. 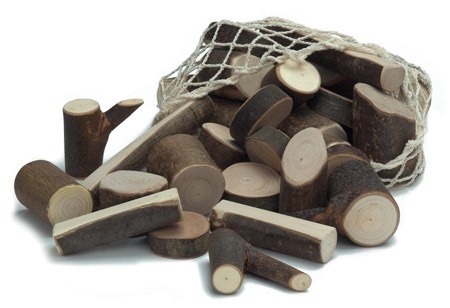 Gluckskafer uses finely polished hazelnut wood and basswood. They are allowed to dry completely naturally.